LAOAG CITY — A small farming village in Maruaya, Piddig, Ilocos Norte is developing itself as the first flower capital in Ilocos region with thousands of sunflowers, some edible flowering plants, and lowland vegetables ready to wow visitors. 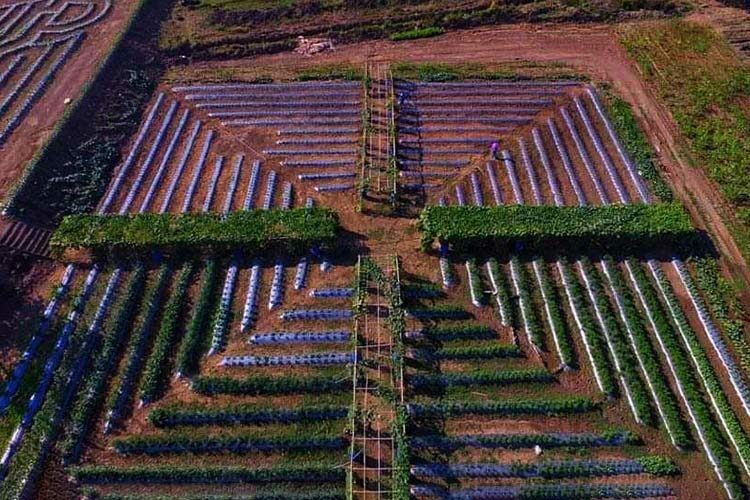 Located about 22 kilometers or less than an hour drive from Laoag City, the Piddig Organic Farmer’s Association established a two-hectare flower farm and vegetable garden in time for its grand opening on February 14. 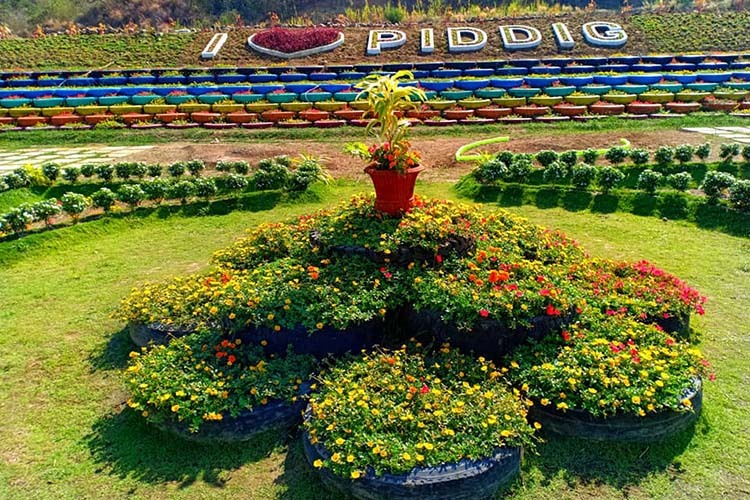 Inspired by various world-class attractions being frequented by tourists here and abroad, the privately-owned Piddig flower farm features picturesque landscape of sunflower maze, bougainvillea, blue ternetea, roses and assorted in-season vegetables. Former town mayor Eddie Guillen, who serves as adviser of the farmer’s organization, said Sunday local farmers here are shaping their agricultural town into an agri-tourism destination where visitors can relax, learn, and take advantage of their organic products. At the farm gate, an entrance fee is collected ranging from PHP50 to PHP100. Children aged nine years old and below are free of charge. Guillen said anyone can roam freely at the farm which can accommodate 1,000 visitors at a time and enjoy its gorgeous amenities. Beginning February 14, he said food will be available at the refreshment area. On her younger days, she recalled going to Maruaya with so many barren lands, if not planted with a small parcel of tobacco, rice, sweet potatoes or just a pasture land as water is scarce especially during the dry season. But with the initiative of the local government of Piddig, local farmers were introduced to diversified crops farming and vermicomposting. As host to the first ever national convergence project for coffee, Piddig town is leading the way in empowering its farmers to be on the frontline of agro-tourism development in the province. Aside from the flower farm being developed in Maruaya, the Piddig government has also initiated the development of a 500-hectare coffee plantation in this northern gateway of Luzon seated on a highland area with 1,200-meter elevation in sitio Lammin, Dupitac village. To date, some locals who used to have unstable livelihood are actively engaged in maintaining coffee and other indigenous tree nurseries. Other farmers produce vermicast, organic rice, tobacco, fruits and vegetables and recently, they jointly developed a flower garden. Guillen said it entails a lot of hard work and perseverance to encourage farmers to deviate from the old norm.